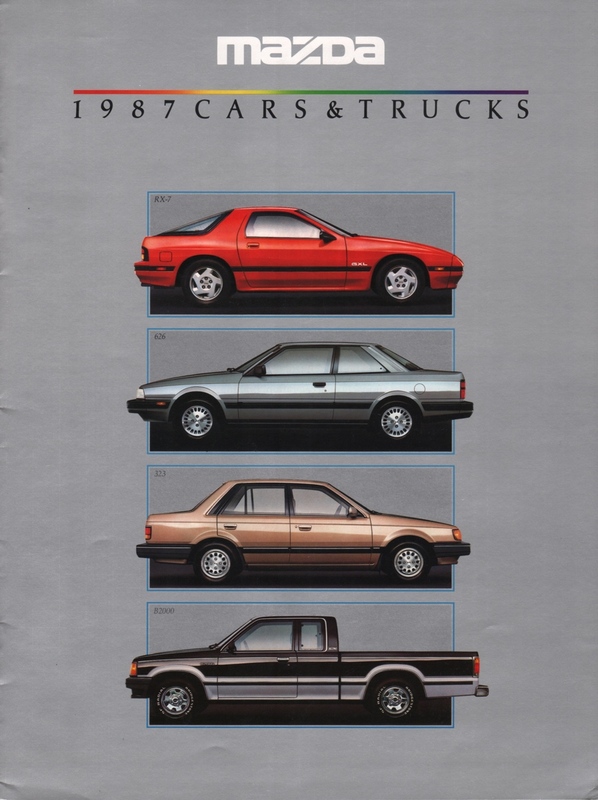 Sales brochure for the 1987 mazda cars and trucks. Models featured inside include the Mazda RX-7, Mazda 626, Mazda 323, and Mazda 2000 Truck. Brochures are presented for research use only. Company marks, emblems, and designs are trademarks and/or service marks of Mazda.